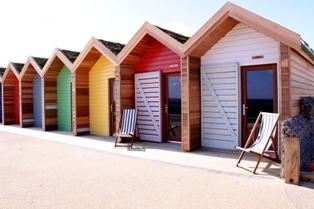 The above photo is of a row of beach huts in Blyth, a small coastal town in Northumberland. The hut on the far right, fondly known as Lobster, was ours for the day and my full family gathered our deck chairs and picnics and spent the day by the beach. I love an excuse to bake, especially as cake is never fully appreciated in a diet laden household like mine so I jumped at this opportunity. I've had a Betty Crocker Chocolate Chip Cookie mix sitting in my cupboard for ages and knew this was a good time to get rid of it. I did a great job at pretending these were my own recipe and I'm ashamed to say that these went down better than any of my homebakes ever do! 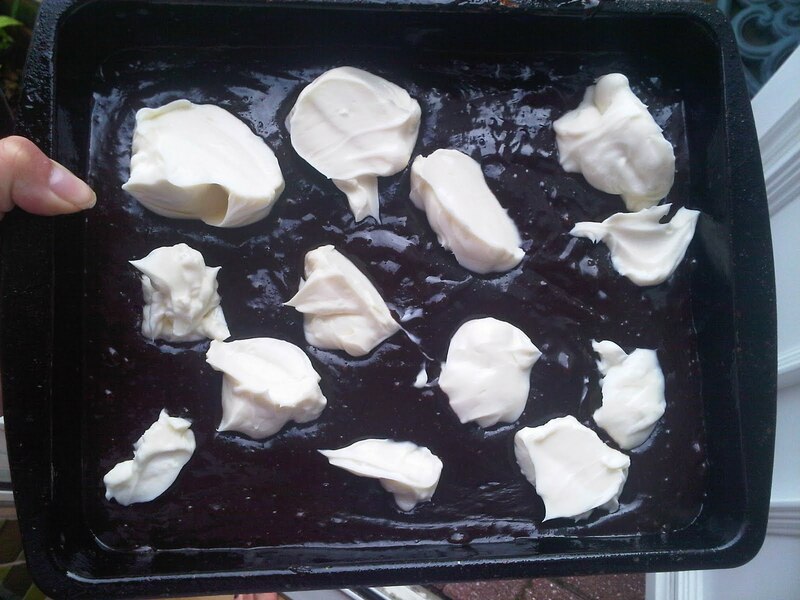 I also chose to make Cheesecake Brownies from The Ultimate Philadelphia Cookbook. Although I like the idea of this book, I feel some of the recipes were put together without any regard as to whether the cream cheese works as an element and it certainly didn't in this recipe. It's very rare that I don't get to use my mixer when baking but the brownies were made completely in a pan, alike the jumbles I made previously. 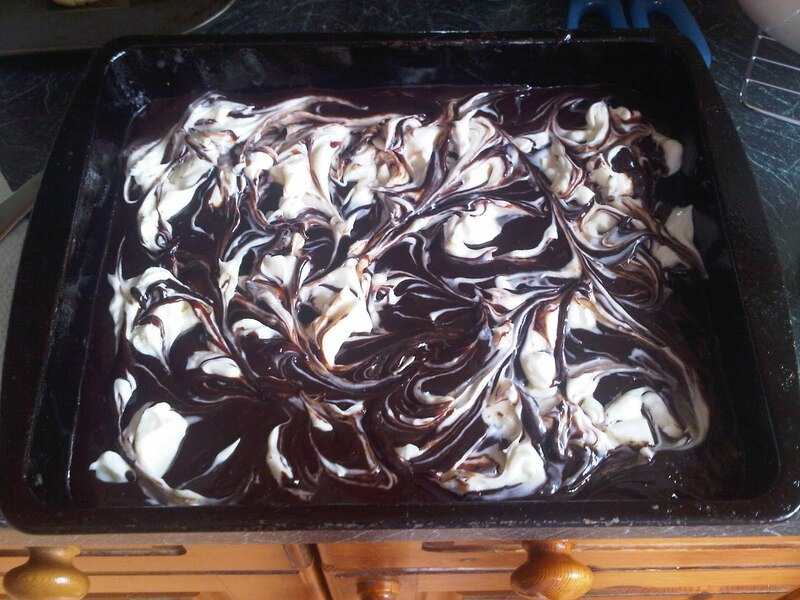 The recipe told you to swirl the cheesecake mix on top of the brownie batter but I found that this was inconsistent and some brownies had loads of cheesecake and others none at all. 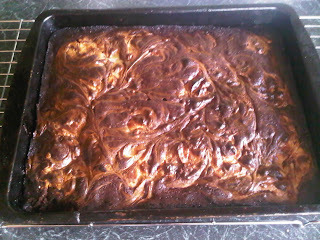 I know it may ruin the idea of the recipe but I feel the cheesecake and the brownie should have been one batter. 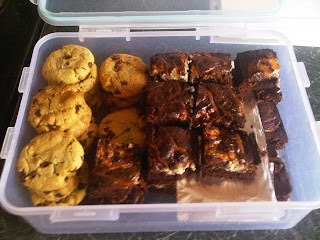 Normally, I would never bake two things that have different temperatures and cooking times together at once but, as there were only ten degrees between each and I was short for time, I took the plunge and there were no negative consequences, luckily! As these were a rushed bake, I had to cut these when they were still warm and they crumbled quite badly as a result. I also found they cooked before the 35-40 minutes and I had burnt edges, so they're definitely a bake to keep your eye on! The majority of my eatership agreed that, while the brownie was really good, the 'cheesecake' bit was too over powering and was, at times, an unwelcome contrast to the chocolate brownie (my words not theirs!). In my opinion, Philadelphia has quite a sour flavour and, should I make these again, I'd avoid using it completely. Marscarpone cheese would also work really well as a substitute. All ready to head off to the beach! 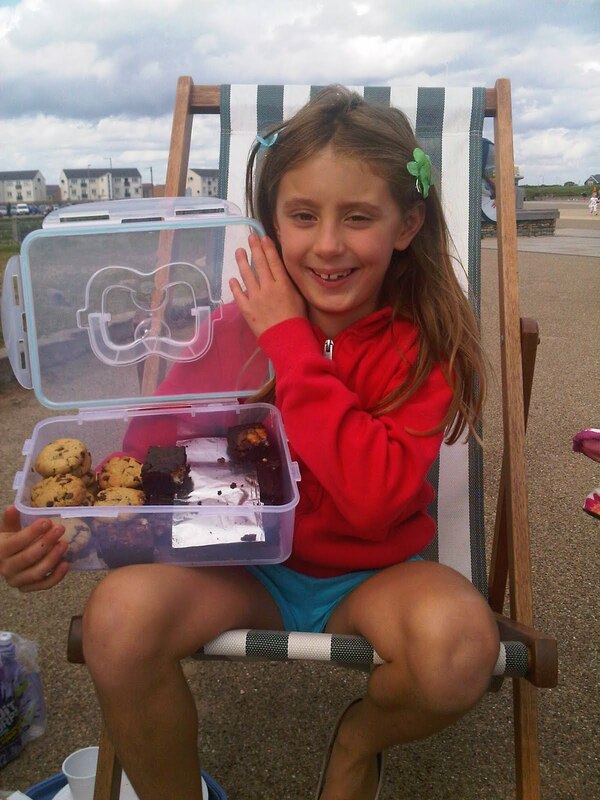 Just to finish, my beautiful cousin Olivia who saw that her brother was on my blog and she wanted to be aswell! 50g caster sugar- I suggest more than this! 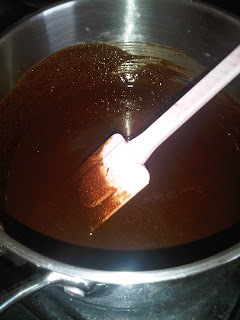 -Mix the chocolate, butter and muscovado sugar in a saucepan and stir over a medium heat until the mixture has melted. 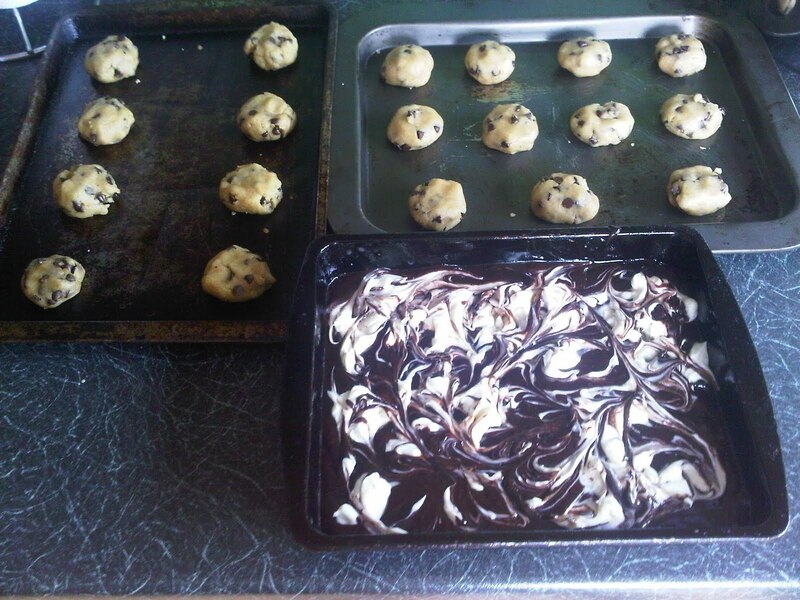 -Sift in the flour, cocoa and baking powder and mix until combined. -Allow to cool before slicing- otherwise it goes all mushy like mine did! Looks delicious, I have also never been able to perfect a homemade cookie. I tend to resort to packets when making them for others. Also, didnt know that cutting brownies when warm leads to crumbling, that explains a lot of what happened to my last brownies! So thanks for that. 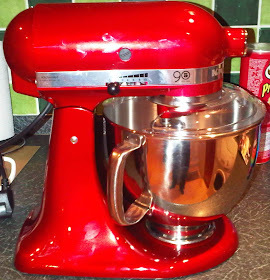 Also very jealous of your Kitchenaid! I am furiously saving my pennies! 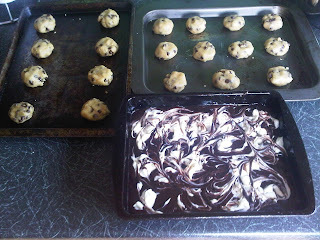 My cookies are always so thin, these were like ones out of a packet! I'm not sure if it's actually the cause, I just never cut anything until they've cooled for fear of losing shape! They're worth every single penny, I promise you! Those beach huts are so cute! 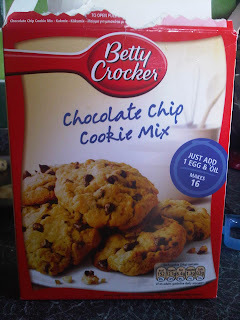 And if you have to resort to a packet mix then Betty Crocker is definitely who to go to. It's worth the guilt! 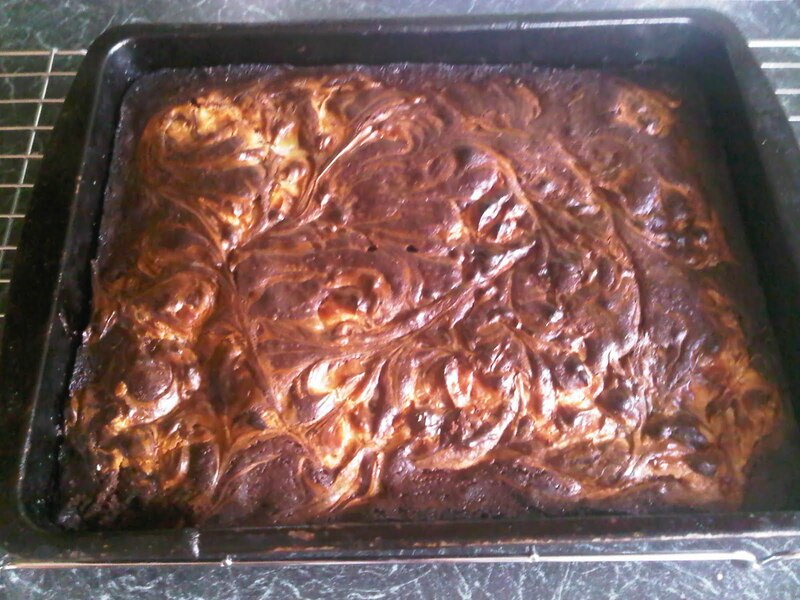 I've tried cheesecake/brownie type recipes twice and both times I've not been impressed by the flavour combination. Really sad because I love the idea of it. 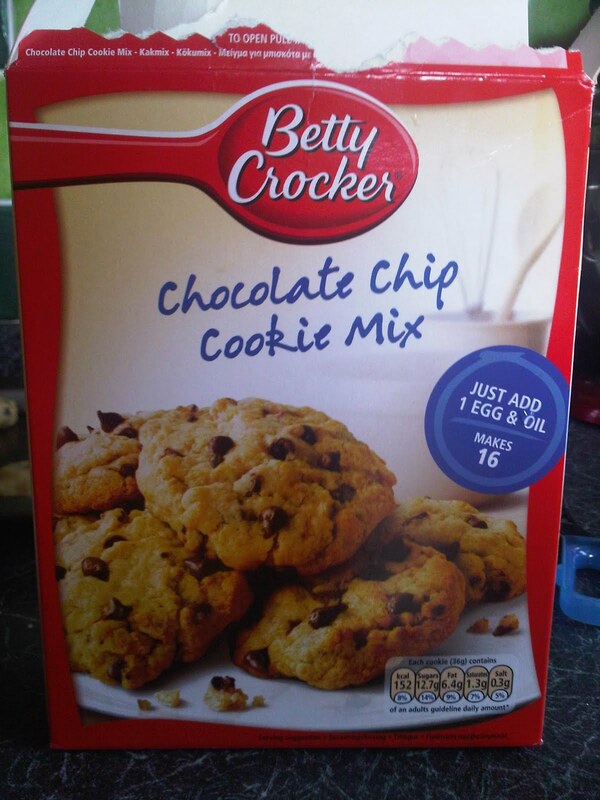 Betty Crocker is great, those cookies were soo nice! Yeah I love the idea too, there's a cheesecake/brownie/meringue type thing in The Great British Book of Baking that I've been wanting to try!